The Four Lands has been at peace for generations, but now a mysterious army of invaders is cutting a bloody swath across a remote region of the land. No one knows who they are, where they come from, or what they are after–and most seem content to ignore these disturbing events. The only people who sense a greater, growing threat and wish to uncover the truth are society’s outcasts: an exiled High Druid, a conflicted warrior, a teenage girl struggling to master a prodigious magic . . . and a scrappy young orphan, improbably named Shea Ohmsford. 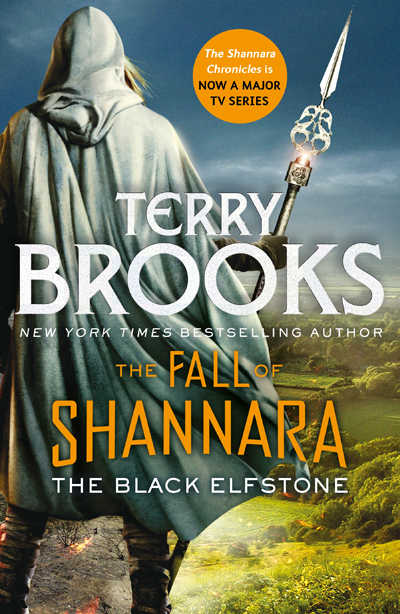 Terry Brooks is the New York Times bestselling author of more than thirty books, including the Dark Legacy of Shannara adventures Wards of Faerie and Bloodfire Quest; the Legends of Shannara novels Bearers of the Black Staff and The Measure of the Magic; the Genesis of Shannara trilogy Armageddon’s Children, The Elves of Cintra and The Gypsy Morph; and The Sword of Shannara. The author was a practising attorney for many years but now writes full time. He lives with his wife, Judine, in the Pacific Northwest.